With almost every camera being ‘digital‘ nowadays, one can’t help but think that film is dead — a so-called outdated technology for photography. However… I beg to disagree: film will never die and its charm will remain. Such is Lomography, and their instant cameras are items that best mixes the excitement of the past and the present in good harmony. They’re the first of its kind that I have owned and ever since they sent a sample my way, I can’t find myself parting from my Lomography camera during my travels! That being said, if anyone asks me if it’s worth it to own an instant camera, my answer would be a resounding YES. Nothing can really beat captured memories that could be instantly printed, kept, stored, or even given away! Add the fact that such photos have that good ol’ nostalgic film effect. Surely there are tons of instant cameras out there, but when it comes to my travels, I find myself resonating more with the newest in their line: the Lomo’Instant Wide! Why so…? Well, simply because it’s great for wide shots such as landscape photography and group shots. It’s truly perfect for all those mesmerizing expanded scenes in my journey that a typical Instax Mini won’t fit in for example. Now… the great news about this is that since April timely marks my “travel anniversary” (I’m officially doing this travel lifestyle for 3 years now! ), it’s absolutely fitting that I give something back to you guys for being so supportive of my adventures — and what better way than to give you a great travel gadget for commemorating that, right? Therefore: together with the awesome team of Lomography, we are giving away a Lomo’Instant Wide camera to one (1) lucky person! Before we get to the giveaway part, let me excite you first with the amazing features of this instant camera since it’s an item that’s really worth hyping over! Lomography is a globally-active organization dedicated to experimental and creative photography. They started with the legendary Lomo LC-A, followed by other cameras designed to expand analogue creativity. Today, they supply Lomographers all over the world through over 25 Gallery & Embassy Stores and their Lomography Online Shop. Has a “wide” shooting range. As I’ve already mentioned, I like how I can capture “more” of a scene with this instant camera. If you’ve dealt with Instax Mini film before, the large film format of the Lomo’Instant Wide is twice the size of that (which uses the Fuji Instax Wide Film). Fully automatic but also with manual operation with creative shooting modes that gives you FULL control over your instant photography. Unlimited Multiple Exposures: to quench the creative photographer in you, Lomo’Instant Wide has the unique feature of allowing you to create double or even multiple exposure shots with just a flick of its MX switch! Color Gels: the camera comes along with 4 different colored flash gels so you can absolutely go wild as you experiment with these splashes of color in your shots! Comes with a built-in premium 90mm lens. This is a close equivalent of the prime 35mm lens. What this means is that you will be able to take gorgeous portraits (closest at 0.6m), distance photos (1-2m setting), and landscapes + everything else (infinity switch)! Can be remotely controlled. With its (infrared) remotely-operated shutter release that is built in into the lens cap, the Lomo’Instant Wide poses no problems if you want to take selfies or group photos with your friends! For detailed specifications of the camera, go here. An amazing camera deserves an equally amazing audience — and one of you might just be the lucky one! » What Will Be Won? 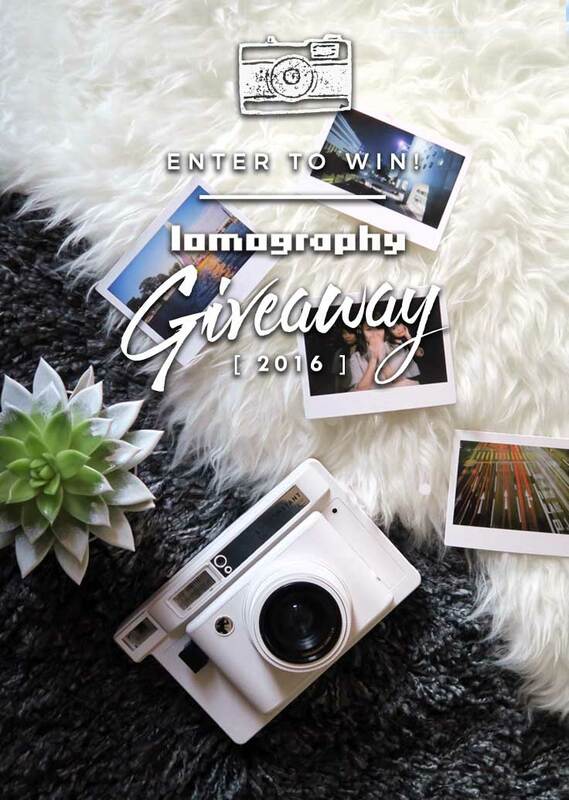 One (1) winner will receive a Lomo’Instant Wide Camera! Do the 3 required steps that will be displayed below in order to be counted in the giveaway. Each action will give you entry points for winning — take note that the 3rd step (tweeting) can be done everyday so you can gain more entries! *Once you finish doing these 3 required steps, it will unlock 7 extra options that will give you MORE entries that will thereby increase your chances of winning! This giveaway will start on April 25 (12AM – GMT + 8 Time) and will end on May 15 (12AM). Winner will be picked randomly and will be announced in May 16 on the ‘I am Aileen’ Facebook page. This giveaway is hosted by me, Aileen, in partnership with Lomography; but prize distribution will be the sole responsibility of Lomography. What do you think of Lomography’s products? Would you like to own a Lomo’Instant Wide? Why or why not? Or do you already own a Lomography camera? How is it? Happy third anniversary! Thank you for your great blog. It is very informative. Your pictures are great too. this giveaway of yours Ma'am Aileen will give a great help for us! especially for me, A Single Mother that wanted to save many great memories with my daughter! JOINED! :) By the way, Happy Anniversary and more power to your blog dear. I can truly feel and see that you are very happy and contented with what you're doing . You're indeed an inspiration to everyone! 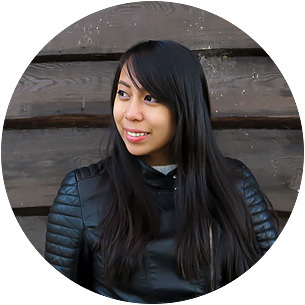 I also love to travel that's why, I love reading your blog a lot! It gives me a lot of ideas and information when it comes to travelling. Well, I wish you safety and happiness in your incoming journey. Enjoy the ride, fly high but never forget to leave your feet on the ground. Awww, thank you so much Aysen! <3 I really appreciate it. (You just made my day!) I wish you all the best in what you do (and in this giveaway too). I'm really grateful that you read my blog and that I've been a part of your life in one way or another. Keep on at it at your dreams! I've always wanted to have a camera like this one, but my parents say that I need to focus on the things I need more. I joined this to experience using an instant camera, and also because my father isn't in the best state of health right now, and I want to savor every moment with him so this would be perfect! Love your giveaway and most especially your blog and website!! What an amazing Giveaway!! I remember having both a 110 and 35mm camera and I absolutely loved dropping off and picking up my film. There is just something about holding a photo in your hand. Glad to have introduced it to you :D Thanks as well and good luck! These look awesome! The anticipation of picking up your photos was always fun. These kind of bring back some great memories. what a nice giveaway. Yeah and the great thing is, you get your photos INSTANTLY. ;) That's what I love about it. I remember having so much fun snapping away with friends during my travels and giving away film so they have copies. This Lomography camera has a lot of features for an instant camera! I would never have thought it would be able to do time lapse, multiple exposures, or use remotes. I love my Canon for blog posts, but I do miss the simplicity of film and instant cameras. I need to get myself one of these! It sounds close-up but it actually isn't as so. It's actually almost the same distance of normal point and shoot cameras. :D Good luck Roch!